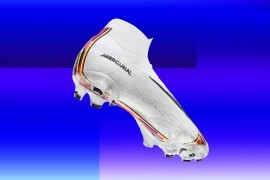 Italian football boot and sportswear maker Diadora has revealed the new away kit for the Scotland national team. The new kit will be worn by Scotland for the first time at their crucial Euro 2008 qualifier against Italy, in Bari, on Wednesday 28th March. 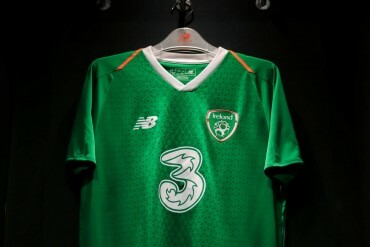 The kit is in white, with the distinctive Scottish cross emblazoning the chest in light blue, with the national team and Diadora logo at the center. 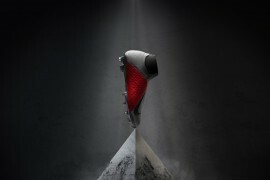 Diadora recently revealed that they had signed AC Milan midfielder Massimo Ambrosini to wear the Diadora footy boot, and his run of good recent performances has been rewarded with a call up to the Italian national team that will face Scotland next week. Fellow Diadora football boot wearer Andrea Barzagli, the Palermo defender, has also been called up to the squad by new coach Roberto Donadoni. Diadora in their heyday famously sponsored premiership players such as Roy Keane, Stan Collymore and Gary Neville, but more recently they remain a force strong in their native Italy. 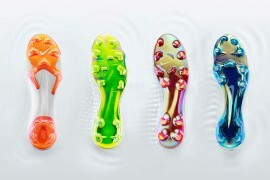 Current star players wearing the Diadora football boot include the AC Roma duo of Francesco Totti and Alessandro Mancini. 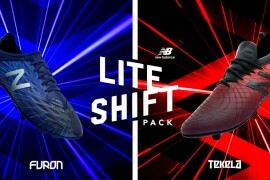 Their current range of football boots goes from the gold Diadora Maximus Italia (dedicated to Francesco Totti after the World Cup win in 2006), Capitano, Brasil Champion Black/Gold and the Attiva III. I have been unsuccessful in finding a medium or large Scotland away top for my 16 year old–a great design, but unobtainable. 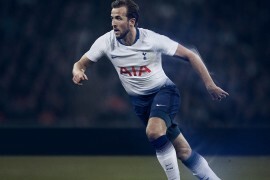 Please explain why there are none in the shops–the new home kit and the other styles and colours are just not as nice. Are you producing more and if so when?